Share with students on Google Drive or Google Classroom! 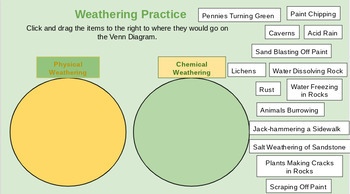 Digital resource in which students click and drag examples of weathering to either physical or chemical weathering. Perfect for digital portfolio assessments!